This Burger. 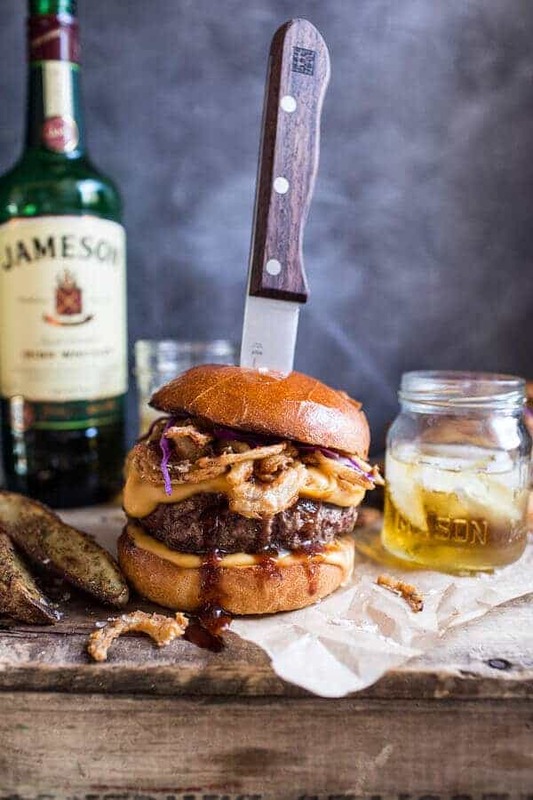 This Jameson Whiskey Blue Cheese Burger with Guinness Cheese Sauce + Crispy Onions. You NEED to make this!! This burger is what all burgers should be, over the top awesomeness. I know that is saying A LOT, but this burger is extra special. Just ask my mom, I think it was her favorite meal. Like maybe ever? She’s kind of a red meat loving freak though. I fully realize that this burger is a tad high maintenance. I mean, the awesome thing about burgers is that they are typically pretty quick and painless. Yeah, well I will be the first one to admit this burger’s got some baggage. But it’s delicious baggage, so in this case, I think having a little extra baggage is an A OK thing. Just say right, cause if you don’t, I’ll argue it till death. It’s Wednesday and I feel like Wednesday’s should not be for arguing, so let’s just not go there. I also want to put it out there that yes, I am well aware I am taking the Irish recipes to a whole new level this month, but I love being able to just get excited (even about small holidays) over simple things and have a little fun with life. I figure if you can do it, than why the heck shouldn’t you. GO FOR IT. Live life, have fun, be happy, right? Wow, when I type things I sound so positive. This is not me in REAL face to face life. I should work on that. Easier typed than done. But, but, but….this burger… SO GOOD. 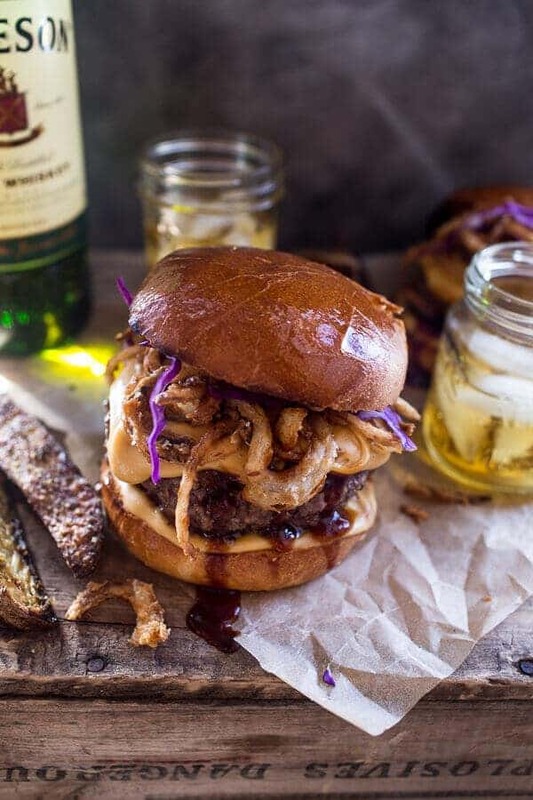 Packed with two cheeses, a whiskey glaze and crispy onions. This burger is huge, full of flavor and textures and a decent amount of liquor. What? Hey, it’s the Irish way. The patty itself is really simple. Just good beef, blue cheese, salt and pepper. It’s all you need to make a good burger. Have I ever mentioned before that I grew up eating “the other half” of my dad’s leftover blue cheese burgers from The Rush Inn in Lakewood, OH? To this day, I think those are my favorite burger/memories. I could never eat much of anything back in those days, so I’d just eat off my dad’s plate, but even as a little kid, I LOVED blue cheese. I didn’t really know that I was eating moldy cheese, but it just tasted so good! Those burgers though, the ones from the Rush Inn? Well, let’s just say if you live in the area, you should totally go get one. I am not sure if they are still just as good, but for your sake I hope so. Back this Jameson whiskey blue cheese burger though. 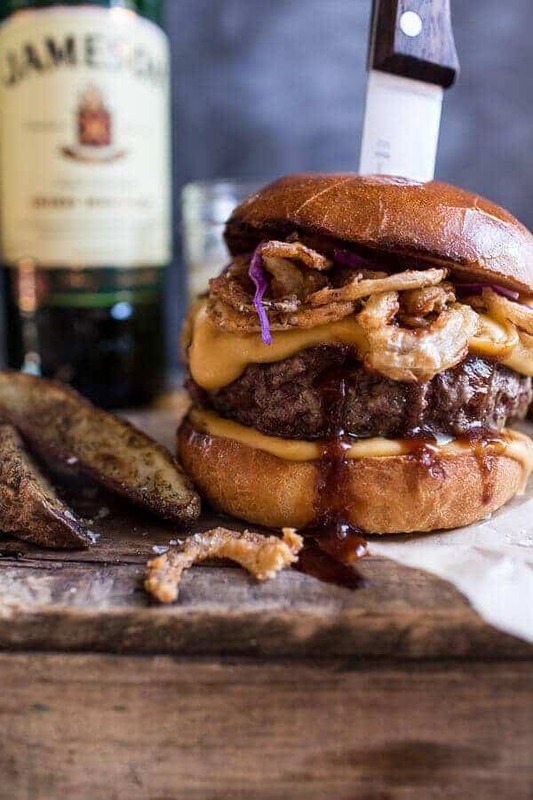 So you have a blue cheese stuffed patty and then there is the whiskey sauce. Oh this sauce, I think this sauce is what makes these burgers SO DELICIOUS. Aside from all the cheese…of course. 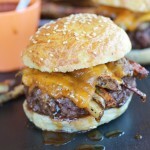 The sauce gives the burger a little kick of saltiness and tang. You can’t strongly taste the whiskey because you cook it down on the stove, but it leaves a nice hint, which is really all you need. If there is one element to this burger that you decide you do NOT want, don’t let it be this sauce. Next up, the Guinness cheese sauce. Sure you can totally just throw a slice of cheddar on and call it a day, but cheese sauces are so much better. They are creamy, butter, cheesy and in this case, a little beer spiked too. Gotta love that. The onions? The onions are just perfect. Crunchy, fried and perfect and this is coming from an onion – sometimes lover/sometimes hater (they have to be used in just the right way). Lastly, I know this seems like a lot of effort for a burger, but I promise it’s all pretty simple stuff…just a few steps, but YOU CAN DO IT. To make the crispy onions, add the sliced onions to a large bowl and pour the buttermilk over top. Use your hand to submerge the onions in the buttermilk. Allow the onions to sit in the buttermilk 10-30 mins. Meanwhile add the flour, salt and a pinch of both cayenne and pepper to a bowl and give it a good toss. When ready to fry the onions heat a large pot of oil until it reaches 375 degrees F. or until a pinch of flour sizzles when sprinkled over the pot. Remove a handful of onions from the buttermilk and place them into the flour mixture. Coat the onions in the flour mixture, and then tap them on the inside of the bowl to shake off the excess. Carefully drop the onions into the hot oil. With a spoon, fiddle with them a bit just to break them up. Watch the onions closely as they cook quick! After about 1 or 2 minutes, they should be golden brown, remove from the oil and place on a paper towel-lined plate. Repeat with the remaining onion slices. Onions are best served right away, but can be reheated in a 300 degree oven for 5 minutes, watching them closely and making sure they do not burn. To make the whiskey glaze, add the whiskey, ketchup, soy sauce, honey, mustard, Worcestershire, cayenne and pepper to a small saucepan. Bring to a boil and then reduce the heat to a simmer. Simmer 5 minutes or until the sauce has thickened slightly. Keep warm over low heat until read to serve (or store in the fridge and warm before serving). To make the burgers, divide the meat into 4 sections. 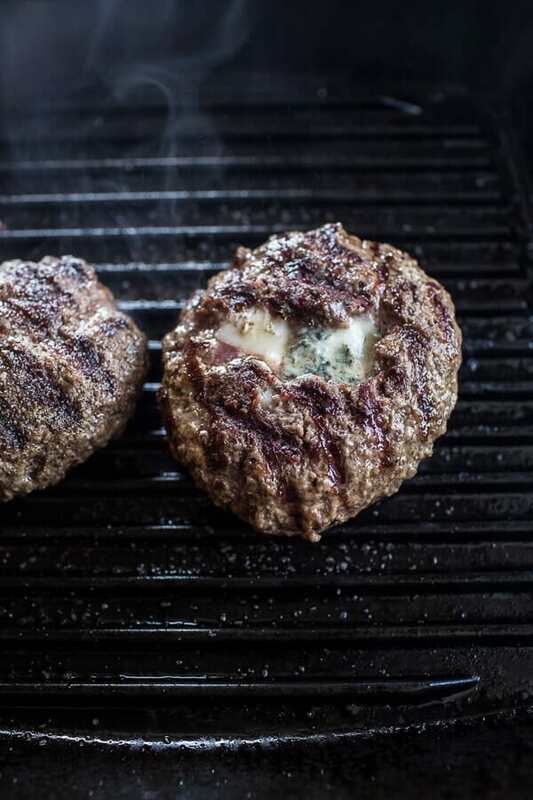 Place a cube of blue cheese in the center of each and then inclose the cheese in the meat forming 4 patties. Place the patties on a plate. Preheat the grill or a grill pan to medium high heat, once hot, season the burgers with salt and pepper and then grill until your desired doneness. About 4-5 minutes per side for medium rare. Remove the burgers from the grill and and cover with foil to allow the burgers to rest while you prepare the cheese sauce. To serve, place each burger on a toasted bun. Top with a good amount of whiskey glaze and cheese sauce. Add those crispy onions and then the top bun...give it a good squash and DEVOUR! *Inspired by the Claddagh Pub, once located in Westlake, Ohio. You can, you should and hopefully you will!! Wow Tieghan!!! Yes, you have outdone yourself on this one. Yum! Holy hamburger, Batman! Yum! thanks for sharing! Is it wrong to want this burger for breakfast??? That cheese sauce and crispy onions there are no words other than I want!!! LOL! Thanks so much, Lisa! Hope you had a great week!! Jameson is the only Whiskey that we keep in this house. And this burger is THE only burger that I want to keep in my face. Who cares if she’s a little high maintenance….that cheese sauce? WORTH IT. Pinned! Haha!! Thank you so much, Taylor!!! Hope you are having a great Friday!! I kind of like that this burger is high-maintainance. It makes it special. And, oh my, does it look amazing! I want to reach through the screen. Pinned. YUP! It sure it special! 🙂 Thank you so much! Tieghan that burger looks and sounds insane!! I love the whiskey glaze and Guiness cheese sauce! My son Sean is gonna love this burger!! Thank you so much, Mary! Hope you both love it! Oh yea, this is what I’m talking about. I love burgers, and being half Irish this is right up my alley. The whisky glaze? the cheese sauce? Oh my! Thanks so much, Lindsay! Hope you had a great week! This is what I’ve been waiting for! This burger goes anywhere, anytime. Pinned it! haha! Thank you so much! Hope you had a great week! I would totally start eating red meat again for this burger. I could probably sub in turkey meat, but I’m sure it wouldn’t be as juicy and delicious. I really need these burgers in my life. Holy cow! LOL!! No need, just use your favorite veggie and or turkey/chicken mix and the the sauce. Still delish!! Thank you!! I could throw an egg on it and call it breakfast right? I love the slightly fussy recipe. I like to make burgers like this at home and worry people would be turned off by a fussy burger recipe but you’re proving that is not the case. Holy crap, this is seriously out of a food fantasy! Can’t believe how perfect this look, I want to make it but know I could never replicate how stunning this is! Awesome recipe, Tieghan! Keep the Irish themed recipe coming! That looks so good! I’ll have to try it. I love your burger recipes the most out of all the different types of food you make. You should open up a burger diner! This is totally something my boyfriend and I would love. He’d be all about the cheese glaze and I’d be all about the whiskey sauce and we’d both be all about those crispy onions! YEAH!! Thank you so much! Hope you both love the burger!! AND thank you so much for your sweet, sweet words!!! Whoa! 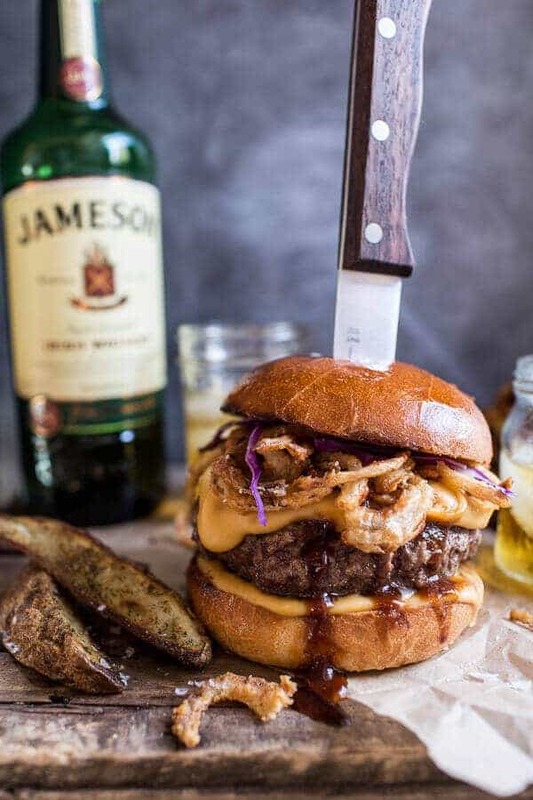 As not much of a whiskey lover, this burger is calling my name! Come to mama! Thank you! Hope you had a great week!! This burger needs to happen every time I eat a burger…..bye,bye, plain ole burger! Seriously, the things you make are always amazing and just not fair sometimes. I want it all right now! Tieghan do you make your own buns or buy them from a bakery? They always look so good! They are from whole foods. I am not THAT good. LOL! Wow these look amazing! 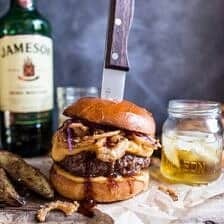 Jameson and onions are literally my two favorite things! Do you have a vegetarian burger you wouls recommended in place of the neef patty? I have made a number of your non meat burgers and they are all very good but specific flavoring to the type of burger they are if that makes any sense lol. Anyway just looking for a way to make this so as a vegetarian i can enjoy all the other delicious elements! ! I would use this burger. It will be delicious!! 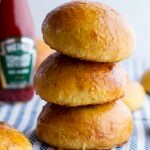 I made these last night using the burger you suggested and they were delicious! The only issue I had was with the roux for the cheese sauce. I used the 4 Tbs butter to 4 Tbs flour and mine was super thick (more like a paste than a sauce) and tasted like flour even after I added the cheese and the milk. I ended up dumping it and making it again using 4 Tbs of butter to 2 Tbs of flour and it worked perfectly! Thanks for a delicious recipe!! This looks so good that even with no booze in the house (I have everything else) I’m trying this. The crispy onions and cheese will make a great hamburger. I’m all for a high maintenance burger every once in a while, especially when it looks like this one! OMG, holy deliciousness!!!! For realz… this is what every burger needs to aspire to be. Yes. More. Now. (please and thank you!) Totally trying these… but that is a no-brainer. Thanks for sharing! Wow, these look Ah-freakin-mazing! I’ll definitely try them for a weekend meal. You know, when I can be all leisurely and lazy and take my time cooking, haha. Love it! Hope you love them!! THANKS!! 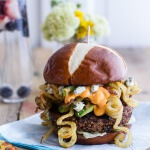 What a burger, I love the blue cheese and crispy onions, so good! Wow! This burger is killing it! Aaah! The Claddagh Pub…brings back lunchtime memories from my days in Ohio. This is the manliest of manly burgers. The type of meal that will have any man weak in the knees declaring his eternal love for you. I guess I better get going and fire up that grill. This looks amazing! We usually do a Guinness stew this time of year, but we may have to mix it up! Yum!! I have been thinking about these all day! They look so wonderful, had to run out and get ingredients to make for dinner! this is everything a burger should be. yum. Oh my goodness…… pure perfection! You are SUCH a genius! I agree- the one things burgers MUST be is over the top. This totally makes it! Right?! Thanks so much Megan!! As you said it does look a little labor intensive but absolutely worth it! Oh my Jesus it looks amazing! OMG! I’m drooling just looking at your burger! 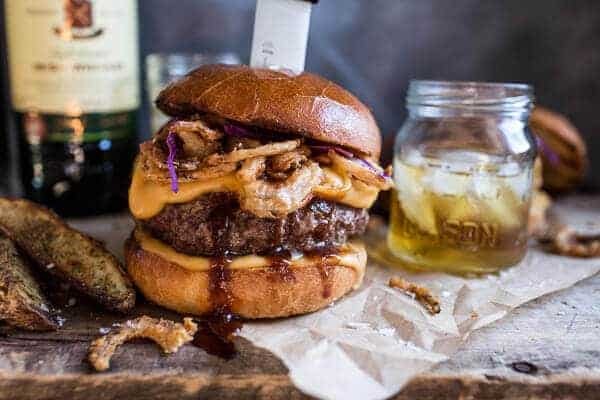 To illustrate the stunning significance of this recipe, I now am planning a MAJOR soiree around this burger for mid-June. Wow. Thanks for giving me something to live for on the other side of this snow and cold. This recipe was the best burger recipe I have ever tried outside the normal crap you get on-line. Everyone who had it today raved. So I’m packing up my bags and all my kitchen stuff and am moving in with you. I hope you have room. The wife is pretty upset and the kids will be confused, but dad needs a food goddess, like you. The burgers were awesome even though most of the triple cream blue cheese leaked out during grilling. I might mix it all in next time so it doesn’t do that. The onions were awesome and crunchy. The whiskey sauce worked very well with the onions in a perfect balance. The cheese sauce…who doesn’t like cheese sauce? Guinness cheese sauce is only 10 times better than regular. I had 85%ground beef and brioche buns that were toasted. All went together as you stated. So all my friends and family were very happy and loved it. I didn’t get pictures because we ate them too fast. I’m gunna make the crock pot pulled pork sandwiches later this week and if they are as good I will be moving in with you soon. 😉 What was your address again? I totally underestimated the cayenne pepper. This burger had do many elements. I don’t prefer blue cheese but gave this a shot. I’m glad I did. My fiancé loved it! Wish I could share the pic I took of mine. Only thing I regret is not using better buns. This will be a definite Summer try out! I hardly ever want to munch my screen, BUT….that looks AWESOME!! Most definitely going to make this the next sunny day we have …. 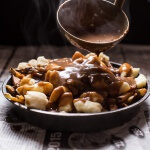 the whiskey sauce may find itself being recruited for other dishes yet to be determined… THANK YOU for sharing. I have been dying for a good burger and had seen this post a while back – finally tried it last night and can’t stop thinking about it! I posted a picture and people are asking what restaurant I went to – um, my own couch where I could wear pajama pants, binge watch Netflix and eat a delicious burger! Thank you for this awesome recipe! I plan on sharing this on my blog with a few of my modifications, but definitely linking you for credit on the original. This was awesome. Made this last night!!! Changed the whiskey and cooking method for the burgers. Recipe was spot on and the burgers came out amazing. My friends said it was one of the best they had ever had and my photo has over 60 likes so far! Thanks for the recipe!!! That is awesome! So happy it was enjoyed! Thanks!! OMG!!! This burger looks incredible. But my husband is a big BBQ lover so I’m making this with pulled pork instead? That sounds awesome! Hope you love it! Happy New Year! So I’m a chef in Melbourne and had some spare time at work. Been wanting to have a crack at this recipe for a while….. Damn this was a good burger. Substituted Chivas Regal and Fat Yak into the recipe and prepped the sauces to taste instead of measure. Recommend everyone take the time to have a crack at these. U won’t be disappointed. Thanks Dave! So happy you loved the burger! Happy New Year! Can you tell me how many calories are in this meal? I am sorry, I can’t as I do not know. I made these tonight for a pre-St. Patrick’s day supper with my brother. He said it was the best burger he’s EVER had! – I made the whiskey glaze a day in advance, stored it in the fridge and then just heated it in the microwave before serving. – I found I didn’t need all of the cheese sauce, I’d probably half the recipe if I were to make them again, but of course, this is personal preference. – I put blue cheese in the burgers, but no one even noticed it was there! This could be a good thing for people who are not fond of blue cheese, but I’d say unless you have some on hand, probably not necessary to buy. – Onion rings were super easy to make (it was the first time I’ve ever made onion rings!) and tasted great. 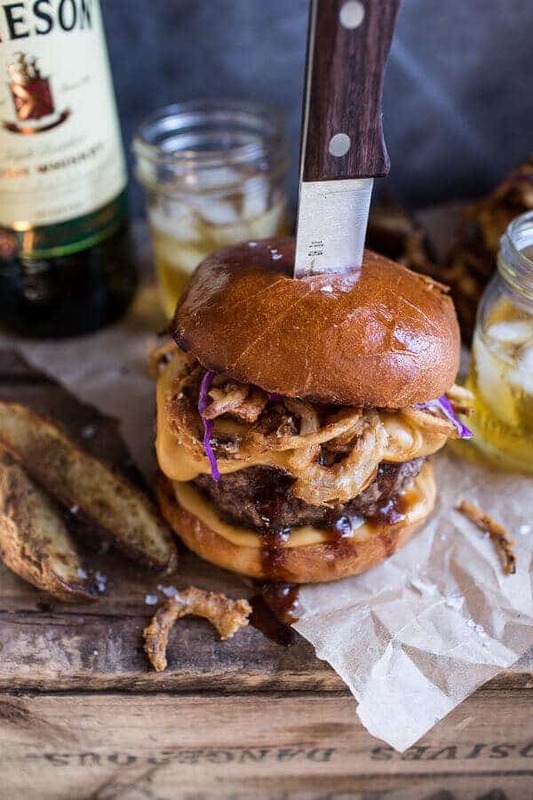 – I purchased pretzel buns for the burgers and served the burgers as shown above (knife in the centre), which impressed everyone in terms of presentation. – Served the burgers with sweet potato fries. Combo went great together. I’ll be pinning this recipe again for future use. Yes, a little high maintenance, but totally worth it if you are looking to impress! This is an awesome burger. Follow it exactly except cut the cheese sauce in half imo. I’ve made it three times now and the prep work and putzing around is worth it. Good food is always worth the effort! It’s why we all cook too, right? Thank you for sharing it. My own thoughts are these shared recipes should be followed as they were presented. Adjust as needed, if needed, the next time you make it and make it your own. This is a great burger!!!!! Thank you. Thank you so much! So happy you love the burger! This was so delicious! My whole family loved it! I live in Lakewood, Ohio and love the Rush Inn Burgers! Not sure if they are still there, but they were great! Will Try This! Thats so awesome to hear!! I hope you love this one just as much or maybe even more! Thanks Al! Made this last night, and may I just say – SO GOOD! Couple of things, though. My personal taste – would do either the blue cheese, or the cheese sauce. Not that they’re not good together, but blue cheese is so potent, that it’s hard to taste the other cheese. Other thing – I made my buglers with salt & pepper, Worcester sauce, a little soy sauce, sautéed onion and garlic, and a pinch of cayenne. So good. But awesome recipe! Will definitely make again! Hi, I’ve got to say (as plenty of others have said already) that this burger looks AMAZING!!! I’m going to try and give this a go but am struggling a bit with the recipe! I’m from England and the cup measurements confuse me (as from what I’ve read it seems that the cup sizes are different depending on what goes in them?) Would it be at all possible to post UK measurements as in grams and ml? Also I’ve got some Jack Daniels, would that work instead of Jamesons? Many thanks for sharing the recipe and keep up the good work. Hi Ben, thank you so much, I am so happy you are enjoying this recipe!! Unfortunately, I am not familiar with converting foods to grams and mL, but I tried to do it using an online converter. I am not positive if all of these are correct, so please double check. I just searched the internet for converters from cups to grams, tablespoons to mL… etc. So here it is! Let me know if you have any other questions! ? Hi and thanks for the super fast reply to my comment. That’s really cool of you to supply the measurements in a format that I understand and the amounts look good so thank you very much for that ☺?. I loved the idea of cup measuring when I first came across it as in no more weighing out & I’ve tried using the online converters before but it started getting confusing for me after I bought a set of measuring cups and found that, for example, 1 cup of flour and 1 cup of liquid didnt mean to fill the same measuring cup up for both to the top?! This maybe is a bad example of what I’m trying to say as it was quite a while ago! Anyway! I’ve got a few more questions for you! 1. Which minced beef should I be getting? Lean 5% fat, medium 12% fat, high 20% fat or extra high 25% fat? 2. I don’t have a grill as such on my oven that’s usable for this sort of cooking (well I do but I’ve lost the grill pan!!!) so I’m wanting to cook them on the BBQ. Now I don’t know if you’re familiar with the beautiful Yorkshire summer weather here but needless to say we don’t get chance to get the BBQ out much as cooking whilst stood under an umbrella is not fun! Do you think that I should shallow fry these for a few minutes on each side before transferring to a disposable charcoal BBQ to get the smoky flavour or should I just sick them straight on the BBQ? Sorry, it’s prob quite an obvious thing but I tend to worry about undercooking meat so normally it comes out a little charred! 3. As a general question you mention to reheat the onion rings in an oven if required set at 300f. Does this temperature refer to an electric oven & if so is it for a fan oven (as the temperature is usually lower to a non fan oven) or is it a standard to quote for gas ovens in the US? I’ve seen it typed like this on numerous recipes from loads of different websites and was curious! Thanks again for all your help from a stupid Brit! ?? 1. I use high, 25%. 2. Cooking on the BBQ will be great! no need to shallow fry. I made this last night…a labour of FOOD LOVE. It turned out delicious. The onions were the best “onions rings” we’ve ever had. I grind my own meats, so we used an inside round steak for the beef eaters and chicken breasts for the non beef eaters. The chicken/blue cheese combo worked so well too. Only, I had to cook it for 25 minutes at 450, flipping half way to make sure the chicken was fully cooked so it added a little time, but well worth it. The cheese sauce was divine. It took me, from start to finish, lots of coordination and two and a half hours to get this on the table!! First time! 🙂 Thanks for the recipe. If we can get the stink of fried grape seed oil out of the house quicker next time, we’ll be making this again! I am so thrilled this recipe went well for you and you loved the onion rings!! Thank you Rain! This looks so good. Thanks do much for sharing this. Thanks so much!! I’ll check the game out!! The “cheese sauce” is actually called Welsh rarebit, and your recipe is rather typical of the bunch. A few drops of hot sauce benefit it greatly, too. Lots of short steps…. but totally worth it. Delish!